A troubling diagnosis might have defined award-winning author Catherine Hernandez's 2016 — but she got by with a little help from her friends. I don't want to jinx anything, but I've never had writer's block. I'm not claiming to be magic or evolved — I just have faith the universe will provide me the words when I need them, and those brief pauses when inspiration is thin are simply pauses. Time to stretch. Time to hike. Time to listen. Imagine, though, what happens if you're a writer and the stories are abundant but the only words your body is screaming are "No!" or "Help!" or "Please!" 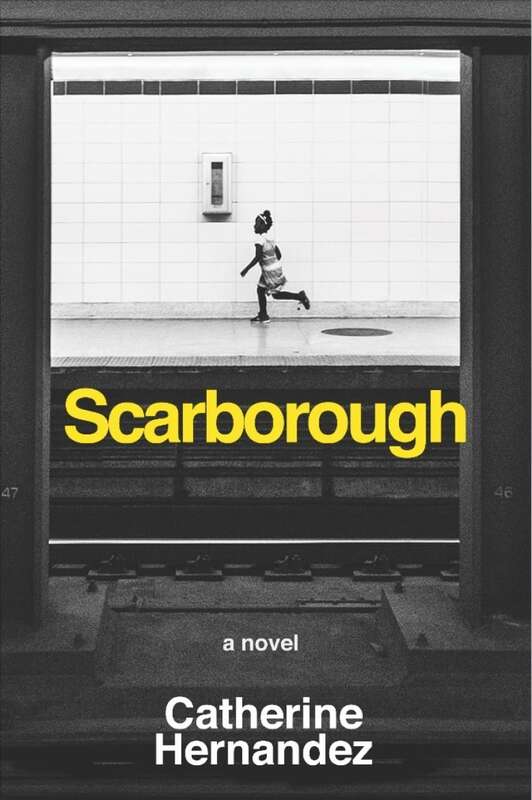 That's why it's a miracle that, in the final moments of 2016, I'm handing in my final draft of my first novel, Scarborough, to my publisher. But I did not do it alone. It took an entire team of generous people to make this book possible for you to read come spring 2017. Here's why. In late 2015, I was given the Asian Canadian Writers' Workshop Emerging Writer's Award for the unpublished manuscript. The momentum from this award would be fleeting and I had to start shopping it around to potential publishers as soon as possible. That's when I was diagnosed with Adrenal Fatigue, and I started to see signs I had to withdraw from topical steroid use. Cue the sound of a needle scratching across a record. The party was over. And when I say "party" I mean the life that I lived pretending that my eyes weren't swelling shut or my body wasn't breaking down when faced with the smallest of tasks. I had to commit to what could be a lifetime of extreme pain. I won't go into details here but in a nutshell, picture being so itchy and inflamed from head to toe that you want to scratch your skin off. And guess what? By putting your shirt on or typing on your computer you can do just that: watch your skin come right off. How the hell was I going to finish this book? I asked Governor General Award-nominated playwright Donna-Michelle St. Bernard to help me edit. To be clear, I had small windows of time where I was pain-free and not high on painkillers. Oh yes, and there was the entire complication around the fact that I am a home daycare owner and mother to a tween. So that gave me a whopping 30 minutes a day to write something that I hoped would be spared from a publisher's recycling bin. Based on Donna-Michelle's input, I would wipe baby bums and rewrite passages in my head. I would put down toddlers for naps and reconsider character arcs. Then when my day was over and before my next round of painkillers, I would write for 30 blessed and beautiful minutes. My mentor Jim Wong-Chu advised me that before I could show the manuscript to publishers, I had to rework its ending. I thought this was impossible — I could barely speak a complete sentence, let alone consider such drastic changes. But then it happened. It was nighttime. I was already high on medication, sitting outside of my house in the middle of the winter to cool down my inflammation. I came inside and told my loving partner, Nazbah Tom, the new ending. "I need you to remember what I told you. I can't remember all of this." Nazbah did this over and over again, this remembering things for me and telling me when I was sober and pain-free. Once I completed the second draft, I contacted my Playwrights Canada Press publisher Annie Gibson, my Flamingo Rampant children's book publisher S. Bear Bergman and my colleague Michael Erickson of Glad Day Bookshop. I told them I was chronically ill and I needed their industry sway to get this book published. Without hesitation, they each offered to contact publishers on my behalf. The final letter, sent from Erickson to Arsenal Pulp Press, gave my book the future it deserves. 2016 changed everything for me as an artist. We often think of our lives as lone wolves, as competitors in a world of scarcity. But it truly took a team to make this novel come to fruition. Jim's mentorship; Donna-Michelle's guidance; Nazbah's support; Annie, Bear and Michael's generosity. Now my body is no longer screaming "No!" or "Help!" or "Please." My fingers, currently healed, are typing this last email to my editor, kissing this story goodbye. And the words my body are singing are "Yes!" and "I'm ready!" and "Thank you!"